Everyone is talking of ‘Cloud Computing’. While, some claim it to be the biggest transformation in IT allowing access to seemingly limitless power of computing, others believe it to be extreme ”marketing hype campaign” . 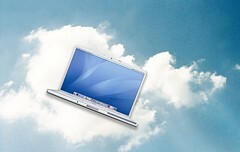 TechTatva is a weblog dedicated to posting on Cloud Computing, Cloud Based services and Scalable Web Infrastructures. Now there are hundreds of fantastic posts about them on the Internet already, but what we bring you are born out of pure experience straight from our workstations. Also, watch out for loads of personal insights, tips, tricks and breakthroughs on website/server maintenance plus the best out of our daily grind.